HBO keeps stocking the bar with “Game of Thrones”-themed alcohol—this time with scotch described as best served icy cold. 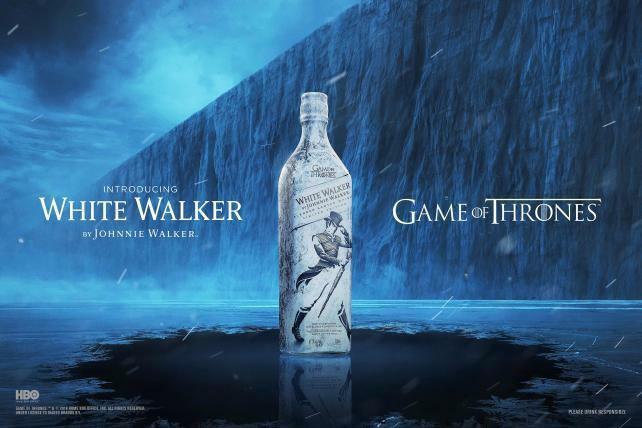 A special edition “White Walker” Johnnie Walker scotch pegged to the show’s snowy undead will soon hit stores as result of a new deal between Diageo and HBO’s licensing division, which has existing deals for “Game of Thrones” beers and wine. The suggested retail price is $36. Johnnie Walker’s Black Label, one of its core varieties, sells for roughly $30 a bottle. The bottles use temperature-sensitive ink to reveal the message “Winter is Here” on their labels when they reach freezing temperature. The brand’s iconic striding man mascot is suited up in armor.